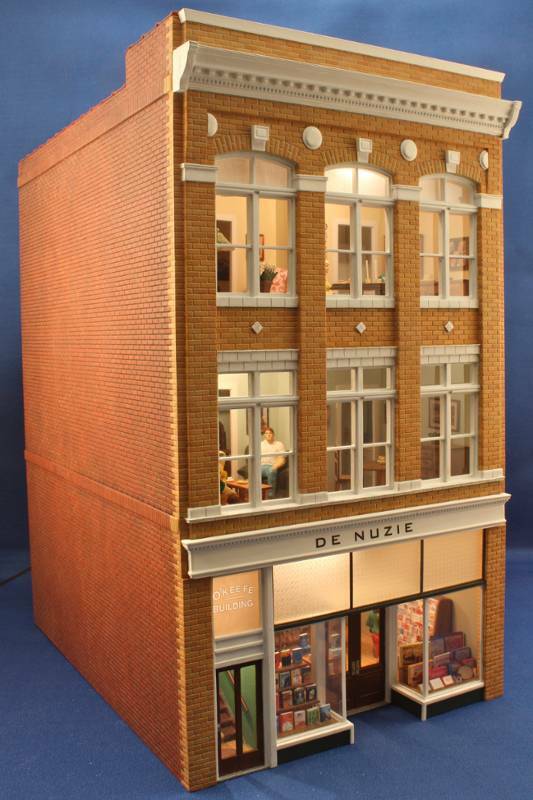 This is a scratchbuilt 1:48 model of the O'Keefe Building located on Market Street in Maysville, Kentucky. 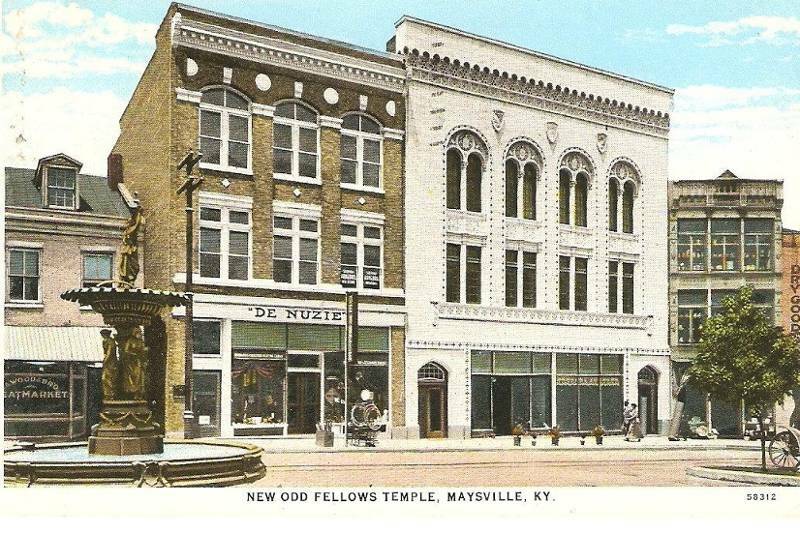 The first picture in this set is from a postcard showing the building as it appeared in 1915. The last picture in the set is the building during a visit to Maysville in 2012. 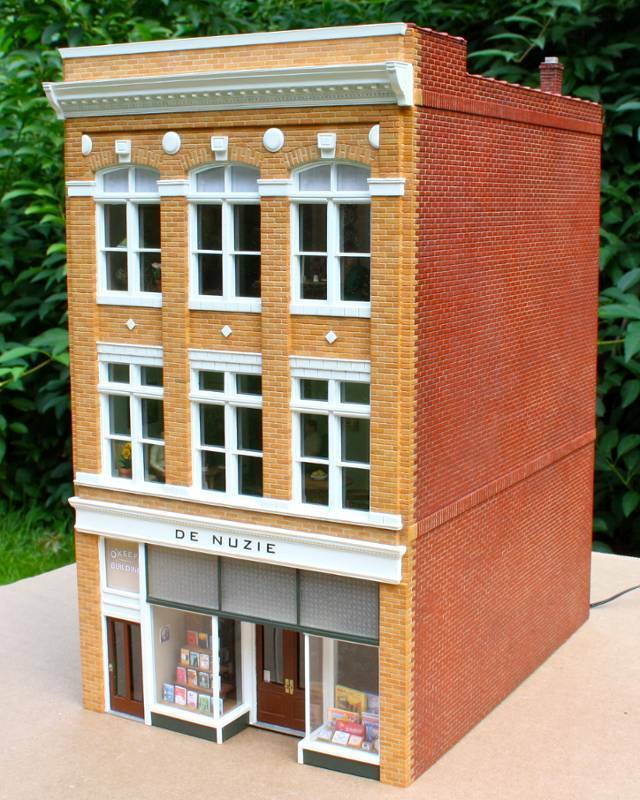 I modeled the 1915 version of the building that housed the DeNuzie bookstore. 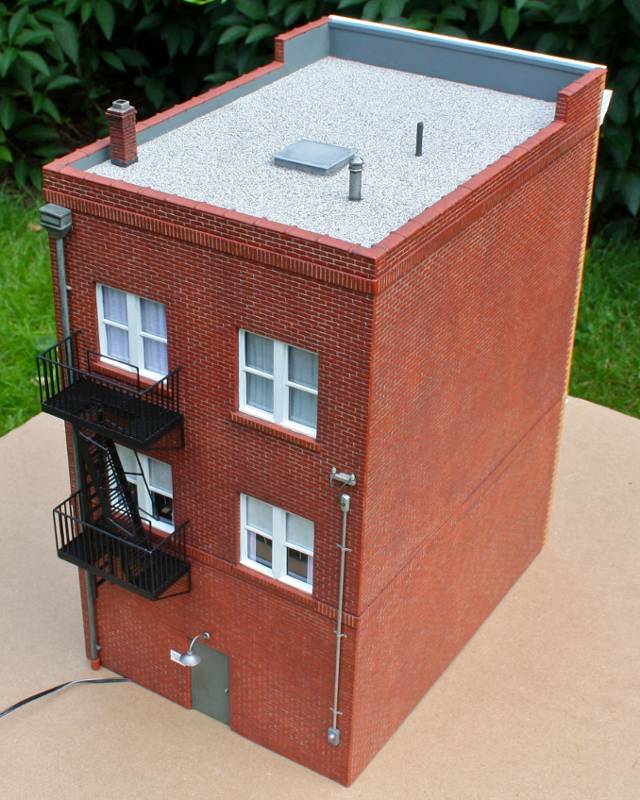 It was constructed from styrene strip and N Scale Architect styrene brick sheet. Detailed interiors were built for each of the three floors. 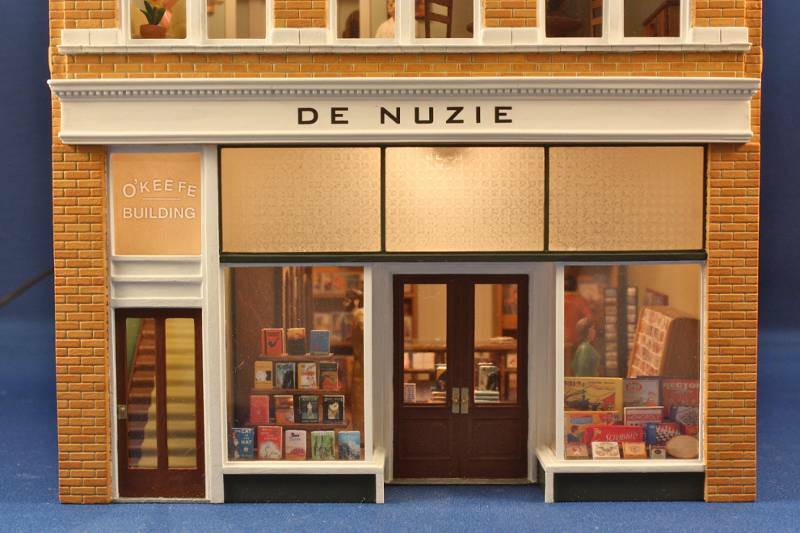 The first floor contained the DeNuzie bookstore. 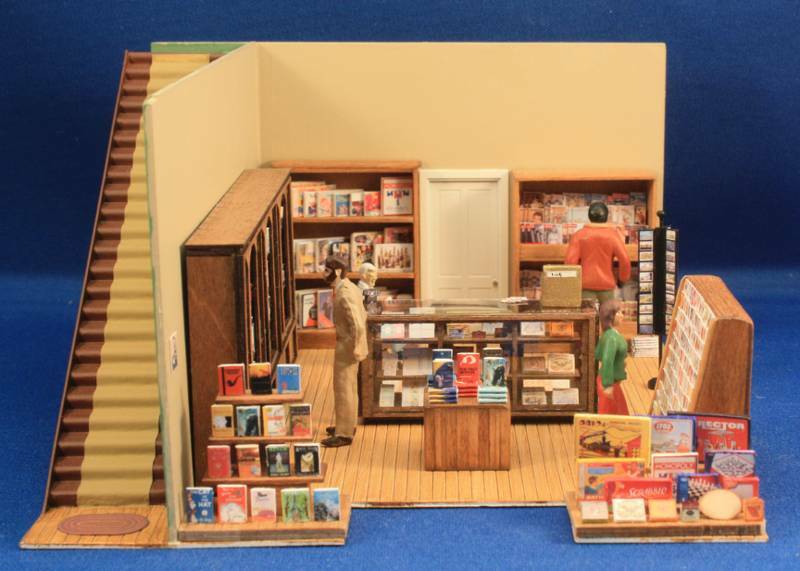 Based on 1916 newspaper advertisements available on the internet, this store not only sold books but also games, cards, stationary, and novelties. The second and third floors were modeled as apartments that contained identical floor plans. I recently displayed this building at the IGMA Guild School in Castine, ME. 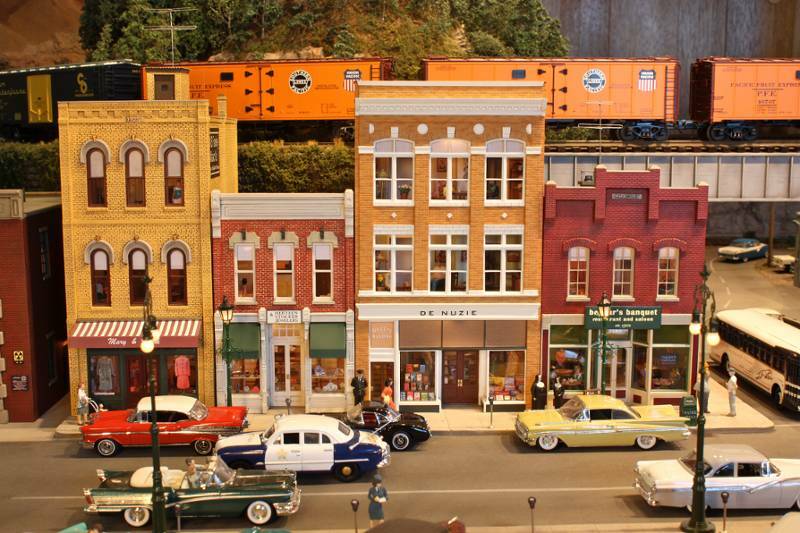 It is now part of a town scene on my layout. GRS Microlighting fluorette bulbs were used to light the building interior. 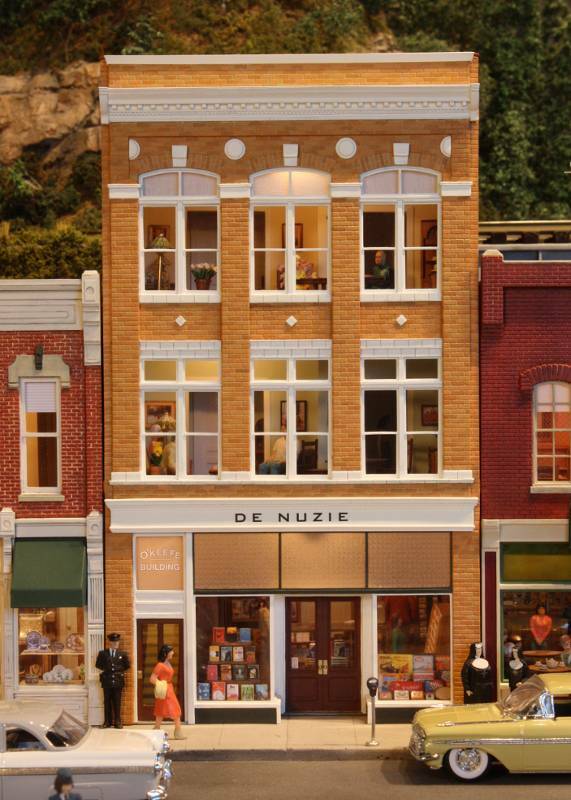 The DeNuzie Bookstore is part of a main street scene on my layout. 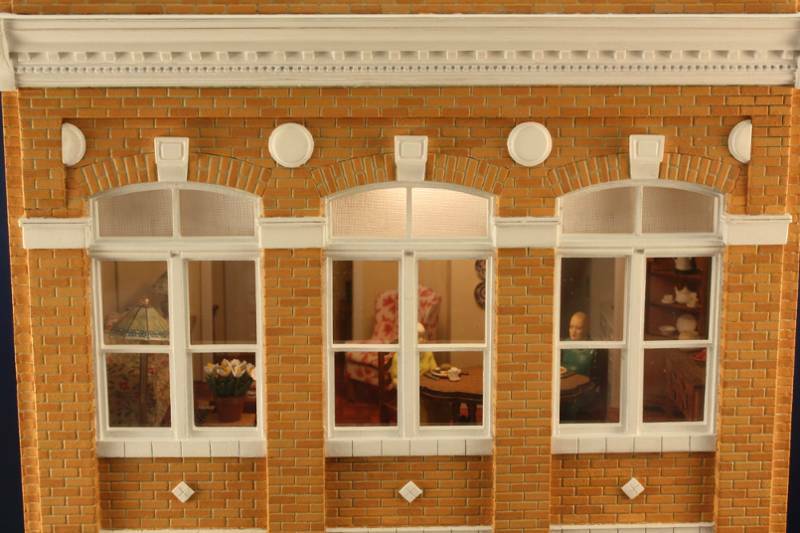 Other buildings in this scene contain detailed interiors. Photographs of Beggars Banquet and Mary and Frank were previously posted on this site. 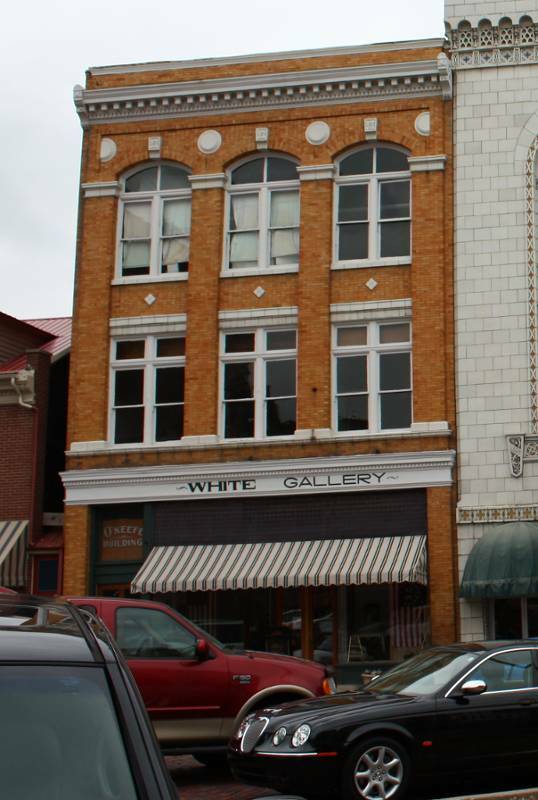 The White Gallery now occupies the O'Keefe Building in Maysville, KY. The exterior of the building has changed little over 100 years. Astounding! 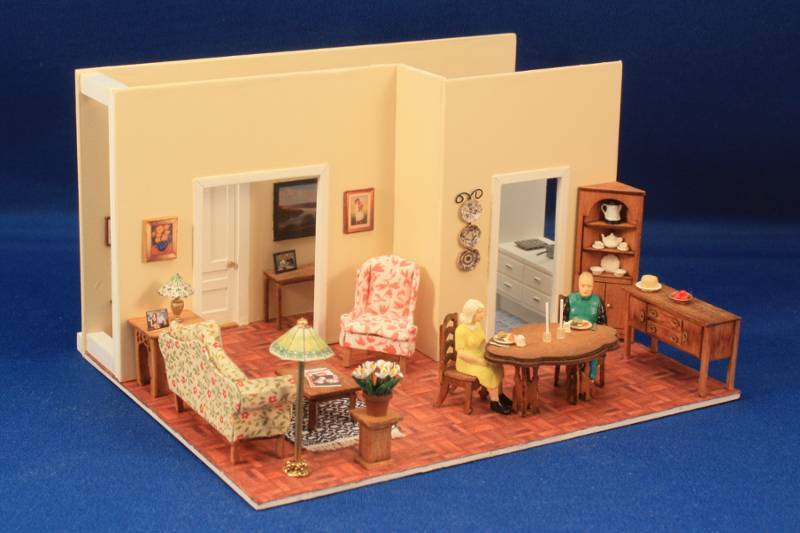 Can't say I've ever seen a more detailed, more convincing interior on anything in O scale. Glass-top shelf - very tricky to do. 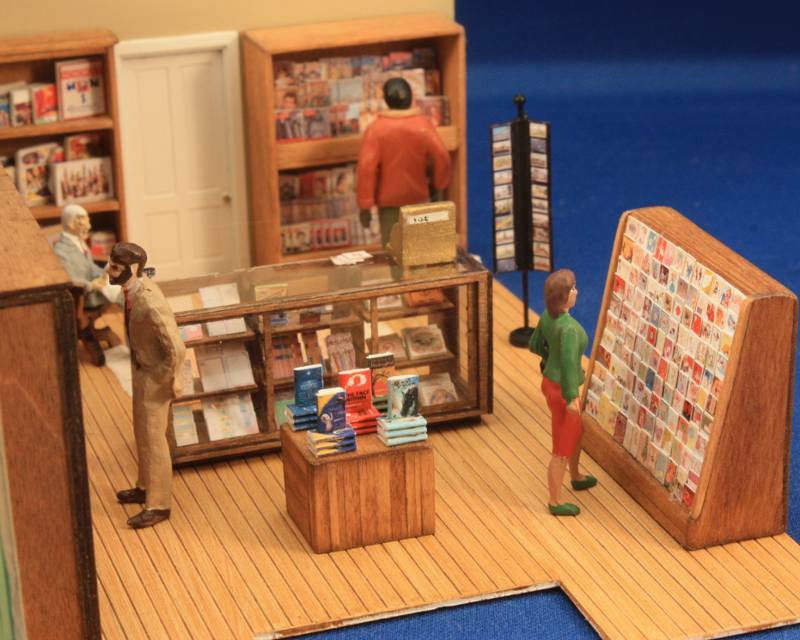 And how did you make the bookshelves against the wall, with the curved panels? Or is this available to purchase somewhere? 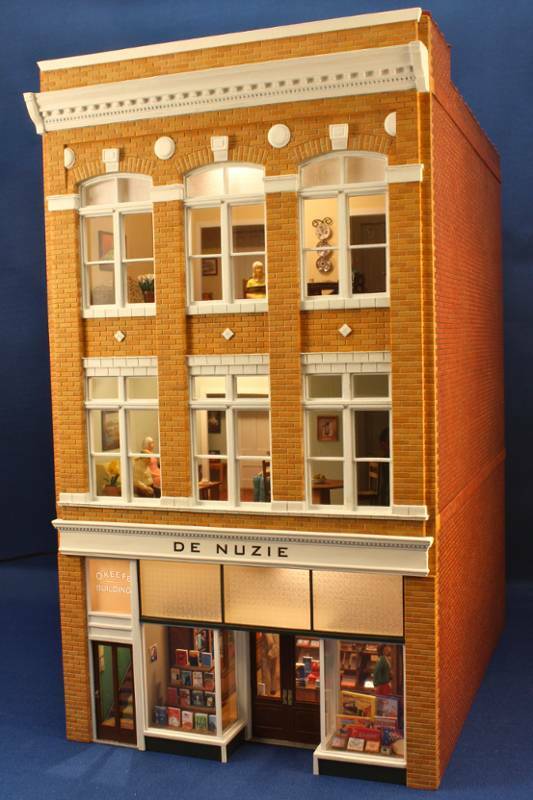 Thanks so much for sharing this unforgettable model! Thank you for the kind comments. 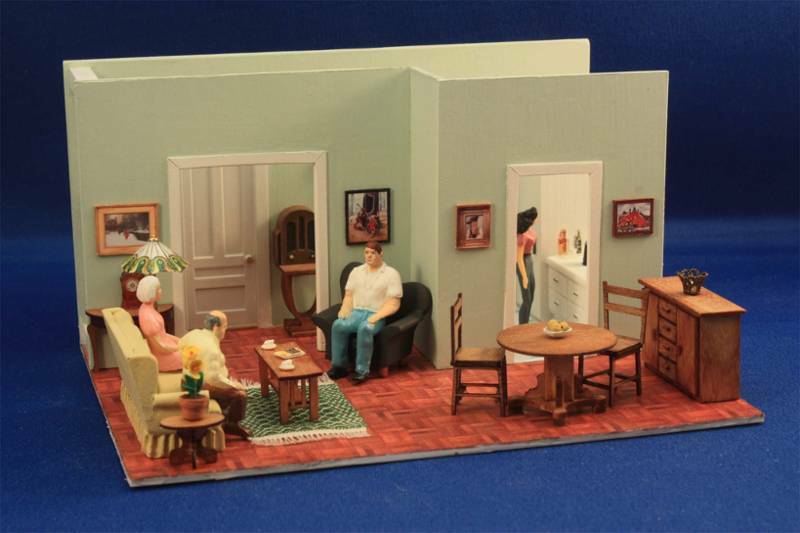 Several of the wooden interior furniture pieces were built from quarter scale laser cut kits. 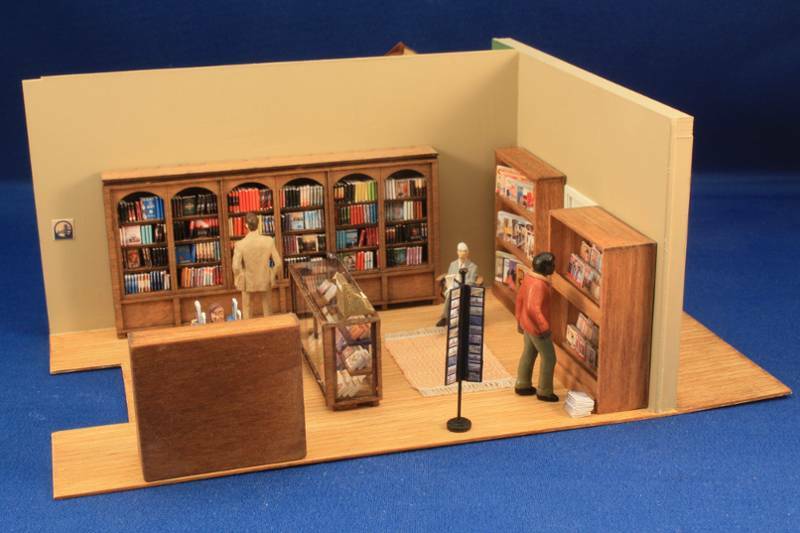 The bookshelf against the wall is a kit from Banta Modelworks. This made the project a little bit easier.